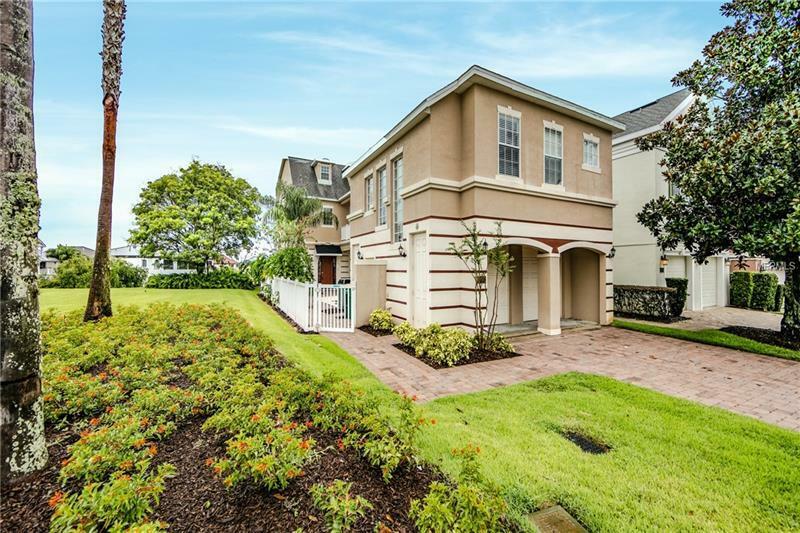 Desirable Three-Story Pool Home is nicely positioned on Reunion Resorts' Arnold Palmer Signature Golf Hole with direct water views offers 5 Bedrooms & 5.5 Baths in Reunion's Liberty Bluff neighborhood. Fully Furnished Pristine home features an elevator that accesses all three floors, 4 outdoor covered patios, 2 Master Suites, Hard Wood Flooring, 18" Ceramic Tile in the "wet areas" and Upgraded Carpet in the Bedrooms. First Floor highlights a Master Suite, Formal Dinning Room, Half-Bath, and Combination Family Room/Kitchen Layout. The Kitchen features GE Appliances, Gas Range, Custom Diagonal Tile Backsplash, Granite Counters, 42" Wood Cabinets and Breakfast Bar. The home also is very bright with plenty of natural light coming from the front & side facing windows and Four large covered patios/balconies with breath taking views. The Second Floor Master Bedroom Suite offers plenty of light with Front and Side Facing Windows, Covered Patio, and Walk-In Closet. The Master Bath is complete with Dual Vanity, Granite Counters & Walk-In Shower. The secondary Bedrooms are roomy & bright with expansive windows located on the 2nd floor. Entire third floor is a Game Room with coffered ceiling, wet bar with granite, 8ft Pool Tables & 2 Flat Panel TV's. Additional Features include an Outdoor fireplace, Fenced yard for privacy and a detached over the garage 1 bed/1 bath In-Law Suite. This home would make a great investment property and/or vacation home. Property is zoned for short term rental with high occupancy rate.